MSG is a file format that is used in MS Outlook and Exchange, which stores the message information consisting of different attributes like sender, recipient, date, message body and so on. 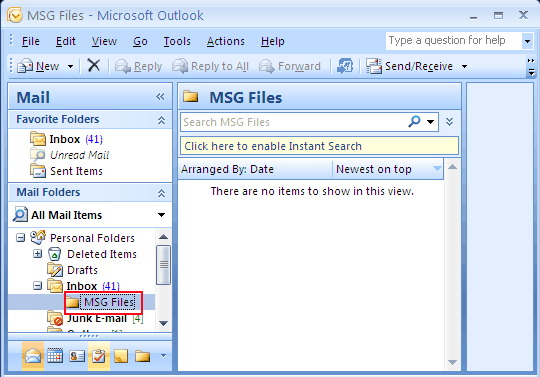 In order to access the MSG files in Outlook application, users need to import the MSG emails to Outlook email program to open and read the data from the MSG file. However, most of the user undergo troublesome time when there are bulk MSG emails, which is to be imported to Outlook application. If you are among those users who want to convert multiple MSG files as PST. Then, this blog describes the perfect solution for the same. 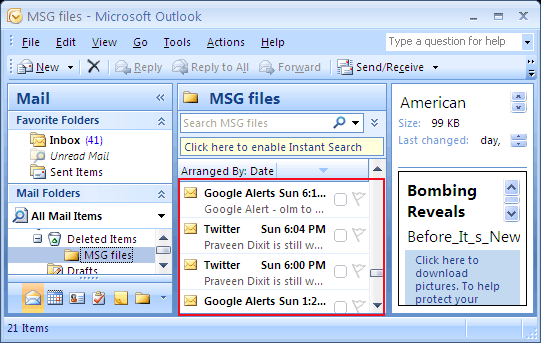 So, let’s get started with the different approaches to import the MSG emails in Outlook application. Why There is a Need to Convert PST Files as MSG? Although the aforesaid method is a free solution. However, it imposes a couple of drawbacks, which are listed below. Worried after knowing the different consequences with the manual method? Do not get nervous! Simply switch to the trustworthy approach as mentioned below. Hassle-free Solution to Convert Multiple MSG Files as PST Format! With the help of MSG to PST Converter, now users can easily overcome all the manual challenges as this tool is power-packed with numerous mind-blowing features. It lets users to bulk import the MSG emails along with the respective attachments to Outlook application with simple clicks without any kind of data loss or data inconsistency failures. Besides allowing the file conversion process, the tool also provides the option to split the PST file into numerous parts in small file size. Additionally, it renders multiple preview modes to perform the in-depth analysis of the MSG files, which include Normal Mail, Hex, Properties, Message Header, HTML, RTF and so on. One of the best parts of the utility is the option to convert multiple MSG files as PST without configuring Outlook application on the system. In this article, we have clearly elaborated the different workarounds which are concerning the user i.e., How to convert multiple MSG files as PST format. 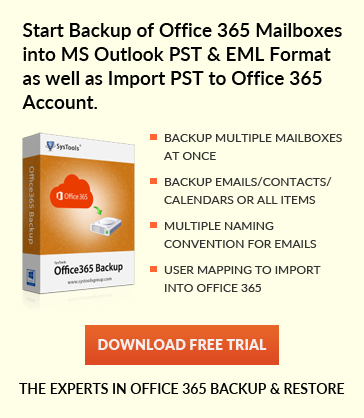 Users can avail the manual method to bulk export the MSG emails in Outlook application. However, with regards to the limitations associated with the manual workaround, availing the automated solution is always the smart choice.